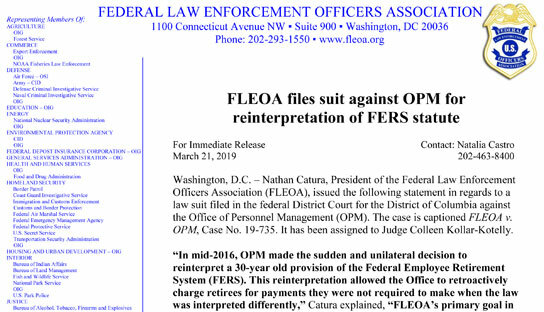 FLEOA files law suit against OPM. 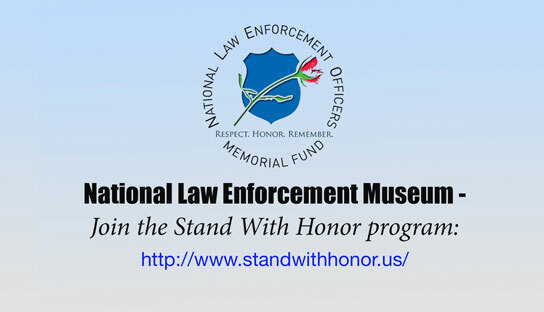 Join the Stand With Honor Program. The Federal Law Enforcement Officers Association (FLEOA) is the largest nonpartisan, nonprofit professional association, exclusively representing federal law enforcement officers. 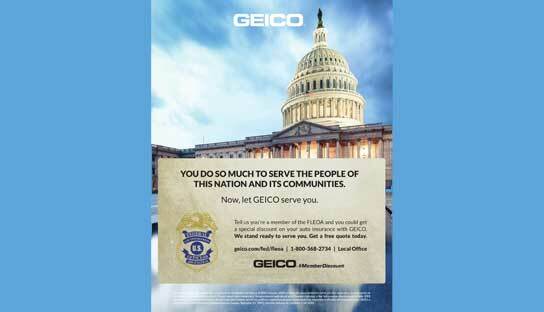 FLEOA represents more than 26,000 federal law enforcement officers from over 65 different agencies. 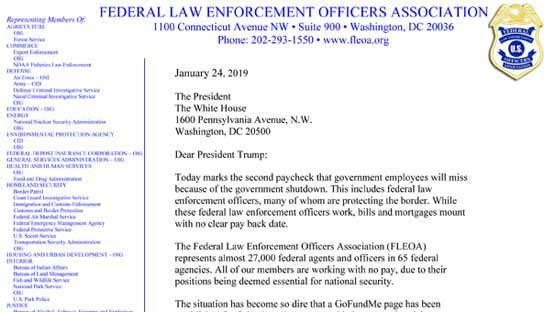 FLEOA is a charter member of the DHS Federal Law Enforcement Working Group, holds two seats on the Congressional Badge of Bravery Federal Board, serves on the Executive Board of the National Law Enforcement Officers Memorial Fund and the National Law Enforcement Steering Committee. 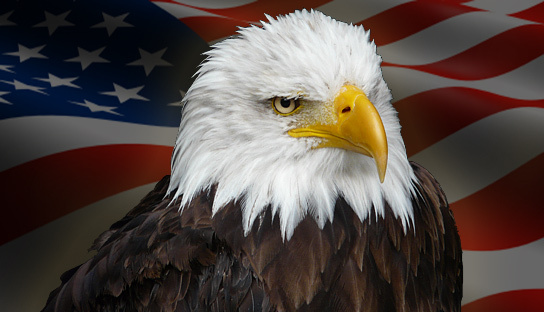 Members Click Here to Cast your Vote now for Agency President or Retirement Director. The FLEOA Foundation is now accepting applications for its scholastic awards. Click here to submit your application. FLEOA has been working with Acadia Healthcare to bring mental health services to our membership. Find out more here. Brochures are available for: First Responders and Law Enforcement. The previously advertised Jeep Raffle for the FLEOA Foundation has been canceled and refunds will be issued to ticket holders. Click here for more information.